Coalition forces captured a suspected Special Groups leader during operations to disrupt criminal element networks today in the Al-Husayniyah area. The targeted individual was reportedly the Special Groups recruiter for the Karbala Province. He allegedly helped facilitate the training of numerous criminals in activities including explosively formed penetrators, improvised explosive devices, operational security and computer security training. He is assessed as an associate of several other senior-level criminal element leaders who were involved in attacks on Coalition forces. When Coalition forces approached the target area, an unidentified man exited a building and displayed hostile intent. The unidentified man ignored verbal and visual warnings to cease movement. Responding in self defense, ground forces engaged the unidentified man, wounding him. The Coalition forces medical team administered on-site treatment to the individual. Ground forces continued on to the target area and captured the targeted individual without further incident. During the operation, Coalition forces also discovered a large amount of American currency. The Department of Defense announced today the death of a sailor who was supporting Operation Iraqi Freedom. Petty Officer 1st Class Victor W. Jeffries, 52, of Honolulu, Hawaii, died December 31st, 2007 as a result of injuries suffered December 24th in a vehicular accident in Kuwait. He was permanently assigned to the Navy Expeditionary Logistics Support Group, Kuwait. For further information related to this release, contact Navy Public Affairs at 011 (965) 389-6335 or DSN (318) 430-6335. 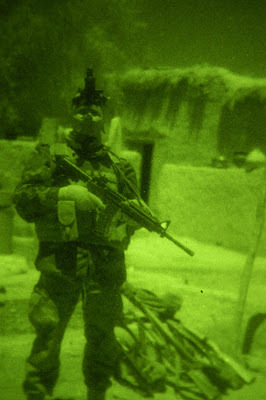 An Afghan commando assigned to 203rd Corps Commando Kandak guards a weapons cache found during an early-morning raid Dec. 27, 2007, in Khowst province. The commandos led a combined force of Afghan National Army, Afghan National Police and Afghan National Border Police. 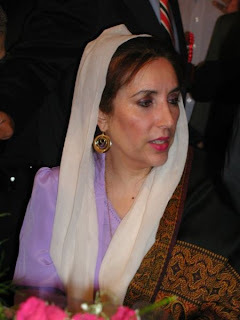 Benazir Bhutto's party appointed her son and her husband to succeed the slain Pakistani opposition leader on Sunday and the party said it would take part in a Jan 8 election as Bhutto would have wanted. Who Is Bhutto's Son Bilawal Zardari? About video: The only son of assassinated Pakistani politician Benazir Bhutto has vowed to continue her struggle. Bilawal Zardari and his father will co-chair Ms Bhutto's party and said they will fight elections whenever they are held. The Department of Defense announced today the death of two soldiers who were supporting Operation Iraqi Freedom. They died December 26th in Mosul, Iraq, of wounds suffered from small arms fire during dismounted combat operations. They were assigned to the 3rd Squadron, 3rd Armored Cavalry Regiment, III Corps, Fort Hood, Texas. Capt. Rowdy J. Inman, 38, of Panorama Village, Texas. Sgt. Benjamin B. Portell, 27, of Bakersfield, Calif.
For more information media may contact the Fort Hood public affairs office at (254) 287-9993; after hours (254) 291-2591. Sgt. Bryan J. Tutten, 33, of St. Augustine, Fla., died December 25th in Balad, Iraq, of wounds suffered when an improvised explosive device detonated near his position during combat operations. He was assigned to the 1st Squadron, 73rd Cavalry Regiment, 2nd Brigade Combat Team, 82nd Airborne Division, Fort Bragg, N.C.
For more information media may contact the 82nd Airborne Division public affairs office at (910) 432-0661. 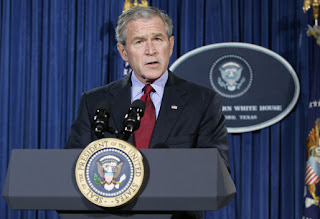 * TIME.com...Bhutto: "She has been Martyred"
************************ About photo: President George W. Bush speaks to the nation from the Bush Ranch in Crawford, Texas, Thursday, Dec. 27, 2007, in response to the assassination of Benazir Bhutto, former Prime Minister of Pakistan. .On behalf of the United States, I want to express our deepest sympathy on the tragic death of former Prime Minister Benazir Bhutto. We extend our sincere condolences to the Bhutto family and to the families of others who were killed and wounded in the attack. We condemn in the strongest terms possible this cowardly and murderous attack. Ms. Bhutto’s passing is a great loss for Pakistan. I knew her as a woman of great courage and had been impressed by her dedication and commitment to democracy and to the future of Pakistan itself. As President Bush said earlier today, the perpetrators of this crime must be brought to justice. 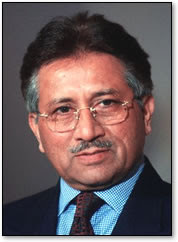 The deadly results of this attack will no doubt test the will and patience of the people of Pakistan. We urge the Pakistani people, political leaders, and civil society to maintain calm and to work together to build a more moderate, peaceful, and democratic future. 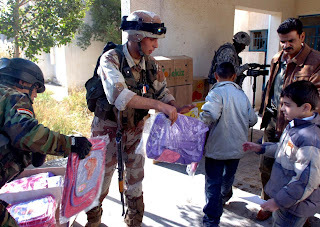 About photo: Iraqi soldiers pass out backpacks to children at the Kawaryzmi Primary School in Adil, Iraq, Dec. 13, 2007. Sgt. Peter C. Neesley, 28, of Grosse Pointe Farms, Mich., died December 25th in Baghdad, Iraq, of an undetermined cause in a non-combat environment. He was assigned to the 3rd Squadron, 7th Cavalry Regiment, 2nd Brigade Combat Team, 3rd Infantry Division, Fort Stewart, Ga. The circumstances surrounding his death are under investigation. For more information media may contact the Fort Stewart public affairs office at (912) 767-2479. The Department of Defense announced today the death of an airman who was supporting Operation Enduring Freedom. Senior Airmen Nicholas D. Eischen, 24, of Sanger, Calif., died December 24th in Bagram Air Base, Afghanistan in a non-combat related incident. He was assigned to the 60th Medical Operations Squadron, Travis Air Force Base, Calif. The circumstances surrounding the death are under investigation. For more information related to this release, contact the Travis Air Force Base Public Affairs at 707-424-2011, or email media@travis.af.mil. Pfc. George J. Howell 24, of Salinas, Calif., died December 21st in Riyadh, Iraq, of wounds suffered when his vehicle was attacked by an improvised explosive device. He was assigned to the 1st Battalion, 87th Infantry Regiment, 1st Brigade Combat Team, 10th Infantry Division (Light Infantry), Fort Drum, New York. For more information media may contact the Fort Drum public affairs office at (315) 772-8286. 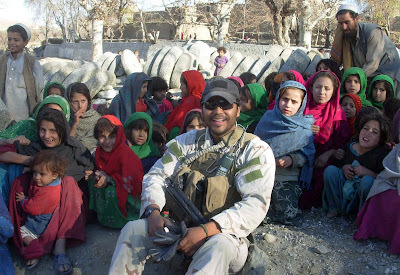 An Afghan police officer poses with children in Afghanistan's Nangarhar province, Dec. 17, 2007. The children were waiting to receive toys donated by Afghan national security forces, assisted by coalition forces. Barney Cam VI: "Holiday in the National Parks"
"Holiday in the National Parks"
Could it be we would finally see Santa Claus at last? 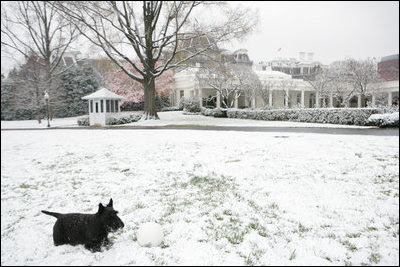 He shouted, "Jay… Lock that dog up before I get back here next year!" Violence is down about 60 percent in Iraq since the June troop surge, and the top military commander in Iraq said today that he wants the trend to continue in 2008. "Every trend we watch is down roughly about 60 percent: civilian deaths, numbers of attacks, and thankfully our casualties are down as well," said Army Gen. David H. Petraeus, commander of Multinational Force Iraq, said on "Fox News Sunday." "As we go into the new year, we clearly want to build on the momentum that has been achieved by our forces working closely together with Iraqi forces." Petraeus said Iraqi forces also had a surge this year, with 110,000 new Iraqi soldiers and police. Petraeus appeared on the morning news program to discuss the release of this week's quarterly report, "Measuring Stability and Security in Iraq." With the success of the surges comes the question of reducing the number of U.S. forces in Iraq while maintaining the positive trends, he said. "We want to reduce the strain on our ground forces as much as we can while recognizing that what has been achieved here remains tenuous and is still fragile in a number of areas," the general said. "We have laid out a plan that will take us through the end of July, and it will result in the reduction without replacement of about one-quarter of our combat forces." 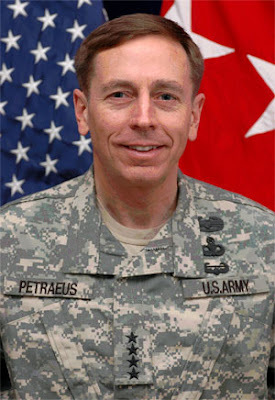 Petraeus was cautious about committing to further troop reductions and reiterated that al Qaeda remains a significant threat. "Al Qaeda remains a very dangerous and very lethal organization, and it is one that will continually try to reconstitute and one that we must pursue tenaciously and relentlessly, and that is what we and our Iraqi partners are doing," Petraeus said. When reporter Chris Matthews asked the general why success in Iraq is not newsworthy, noting a Media Research Center report that news stories from Iraq dropped in the evening nightly network newscasts from 178 news stories in September to 68 stories in November, the general said he sees that as a positive sign. "In a sense, no news is good news, and we're not reluctant to see that," Petraeus said. "The only reluctance would be that America continues to remember its soldiers, sailors, airmen, Marines and civilians who are serving out here in this very important endeavor." As the interview concluded, Petraeus praised the men and women he leads in Iraq. "Especially at this season, we all should be grateful for what these great young men and women are doing and for the sacrifices of their families who are enduring separations back home. It is a privilege to serve with America's new greatest generation here in Iraq." Vanessa Redgrave came to the rescue of two former Guantanamo Bay detainees this week, paying thousands of dollars to help them walk free from a British court. The legendary actress said it was a “profound honor” to be able to help the terror suspects. 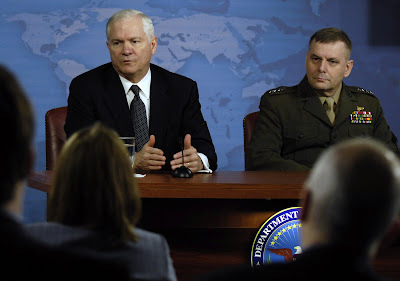 About Photo: Pentagon Press Conference - Defense Secretary Robert M. Gates conducts a press conference with Marine Gen. James E. Cartwright, vice Chairman of the Joint Chiefs of Staff, at the Pentagon, Friday, December 21, 2007. 1st Lt. Jeremy E. Ray, 26, of Houston, Texas, died December 20th in Kanaan, Iraq, of wounds suffered when an enemy attacked using an explosive device. He was assigned to the 1st Squadron, 3rd Armored Cavalry Regiment, Fort Hood, Texas. During Operation Iron Reaper, Multi-National Division – North Soldiers killed 24 extremists, detained 37 suspects, and discovered an atrocity site, torture complex and nine weapons caches north of Muqdadiyah Dec. 8-11. Intelligence provided by Iraqi tips led U.S. troops to a suspected al-Qaeda in Iraq safe haven and operating bases. Evidence of murder, torture, and intimidation against local villagers was found throughout the area. During the operation, U.S. Forces and Iraqi Security Forces were involved in multiple engagements with groups of armed men. They discovered what appeared to be a detention facility. As they continued to clear the area, they found several bodies and eventually uncovered 26 human remains in multiple mass graves next to execution sites. In the same area a torture complex was found, consisting of three detention facilities with one doubling as both a headquarters building and torture facility. The buildings contained chains on the walls and ceilings, a bed still hooked up to an electrical system, and several blood-stained items. U.S. Forces also located and destroyed nine weapons caches anti-aircraft weapons, sniper rifles, more than 65 machine guns and pistols, 50 grenades, a surface-to-air missile launcher and platform, 98 personnel mines, 170 pipe bombs, 130 pounds of homemade explosives, 21 rocket propelled grenades, numerous mortar tubes and rounds. Operation Iron Reaper has been ongoing over the last few weeks across northern Iraq.“Operation Iron Reaper has been successful. We will continue to pursue al-Qaeda across our area, and they will find no safe haven in the north of Iraq,” said Maj. Gen. Mark P. Hertling, commanding general, Multi-National Division - North. His burial date is being set by his family. Representatives from the Army met with Ferrell’s next-of-kin to explain the recovery and identification process, and to coordinate interment with military honors on behalf of the secretary of the Army. On February 12, 1951, Ferrell was assigned to Battery A, 503rd Field Artillery Battalion, 2nd Infantry Division, then occupying a position about 70 miles east of Seoul, South Korea. The 503rd was providing artillery support for friendly units coming under heavy attack by Chinese Communist Forces. In danger of being overrun, the 503rd was forced to withdraw to the south. Records indicate that Ferrell was captured near Hoengsong, South Korea, during the fighting. He later died in captivity at the Suan Mining POW camp located about 40 miles southeast of Pyongyang, North Korea. Between 1990 and 1994, the North Korean government repatriated what they claimed to be 208 sets of remains, including a 1991 turnover of several servicemen recovered near the Suan Mining POW camp. Ferrell’s remains, along with cold-weather clothing and uniform buttons worn by U.S. infantry, were included in the 1991 repatriation. Among other forensic identification tools and circumstantial evidence, scientists from JPAC and the Armed Forces DNA Identification Laboratory also used mitochondrial DNA and dental comparisons in the identification of Ferrell’s remains. 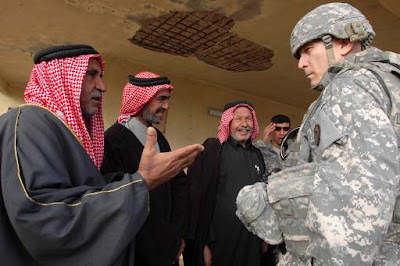 U.S. Army Lt. Gen. Ray Odierno, the commander of Multi-National Corps - Iraq, speaks with a group of local sheiks at Patrol Base Kemple in Owesat, Iraq, December 18, 2007. Patrol Base Kemple is situated on the banks of the Euphrates River and is home to U.S. Army Soldiers of Alpha Company, 3rd Battalion, 187th Infantry Regiment, 3rd Brigade Combat Team, 101st Airborne Division. Extremists are intimidating Iraqi citizens less and less, thanks to security improvements in the country, a unit commander there said yesterday. Army Col. Tom James, commander of the 3rd Infantry Division's 4th Brigade Combat Team, is less than three weeks into his third tour in Iraq and said he sees marked improvements. "It's different here," he said in a conference call with online journalists and "bloggers." "This is a population no longer being intimidated by the extremists," he said. "They are tired of being terrorized, and they are standing up and saying, 'That's it.' They want to provide information and secure their families." James' unit is conducting Operation Marne Roundup, working to defeat al Qaeda extremists in the Euphrates River Valley, in northwestern Babel province. He said some 30 extremists have been terrorizing the population in the area but now have been forced out of their sanctuaries. "We are taking that area away now, and they are desperate," James explained. James' team arrived in the region Dec. 1, and it already has uncovered 25 improvised explosive devices, 10 caches, and eight extremist fighting positions, and has stationed 80 to 100 "concerned local citizens" in Neighborhood Watch-type organizations to hold the area while the Iraqi army is put in place. Efforts now are aimed at securing a patrol base in Khidr. James said he relies heavily on these concerned local citizens. Twenty to 30 percent of the concerned-citizen volunteers become Iraqi police if they can pass reading, writing, and other tests. In fact, 140 such former volunteers are graduating from an Iraqi police training course at the end of the month, he said. The colonel noted specific improvements since his last tour. "Iraqi security forces have grown, with the Iraqi army and police in Babel conducting intelligence-based operations that have improved significantly." In addition, James noted continued progress toward non-sectarianism. "Shiia policemen are going after Shiia extremists and are not influenced by governmental or party organizations." He also described his unit's specific mission in its area of operations. "Our mission is to secure the population, block accelerants, and defeat sectarian violence, allowing the security situation to grow and the population to grow more secure." A big part of establishing this security, James explained, is instilling continued confidence in the local population. "Our operational concept is to attack and clear areas where extremists have been and establish a combined control base -- coalition force, Iraqi army and Iraqi police -- to show the population that not only have we cleared your area, but we are here to stay, and we are here to help protect you." As a result, James noted, local citizens are noticing this commitment and are eager to cooperate. When citizens are comfortable and secure, "actionable intelligence starts to flow," he said. "This results in economics and government that grows from the lowest level, which we call building local capacity." Maj. Perry H. Jefferson, U.S. Air Force, of Denver, Colo. He will be buried April 3, 2008 in Arlington National Cemetery near Washington, D.C.
On April 3, 1969, Jefferson was an aerial observer on board an O-1G Bird Dog aircraft on a visual reconnaissance mission over a mountainous region in Ninh Thuan Province, Vietnam. The pilot of the aircraft, then U.S. Army 1st Lt. Arthur G. Ecklund, radioed Phan Rang airbase to report his location, but contact was lost soon after. An extensive, three-day search and rescue effort began, but no evidence of a crash was found. Hostile threats in the area precluded further search efforts. In 1984, a former member of the Vietnamese Air Force turned over to a U.S. official human remains that he said represented one of two U.S. pilots whose aircraft was shot down. In 1994 a joint U.S./Socialist Republic of Vietnam (S.R.V.) team, led by the Joint POW/MIA Accounting Command (JPAC), interviewed two Vietnamese citizens regarding the incident. The witnesses said the aircraft crashed on a mountainside, the pilots died and were buried at the site. They said two other men were sent to the site a few days later to bury the pilots. The team excavated the crash site described by the witnesses and found aircraft wreckage. No human remains were found. In 2000, the remains turned over in 1984 were identified as Ecklund's. 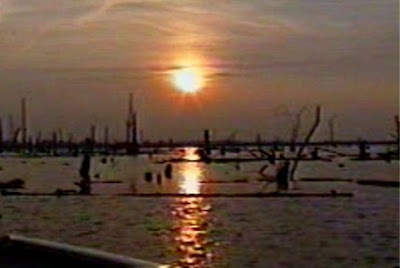 In 2001, a Vietnamese national living in California turned over to U.S. officials human remains that he said were recovered at a site where two U.S. pilots crashed. These remains were identified in 2007 as Jefferson's. Among other forensic identification tools and circumstantial evidence, scientists from JPAC and the Armed Forces DNA Identification Laboratory also used mitochondrial DNA and dental comparisons in identifying Jefferson's remains. Sgt. Austin D. Pratt, 22, of Cadet, Mo., died December 15th in Balad, Iraq, of injuries sustained in Baghdad, Iraq, from a non-combat related incident. 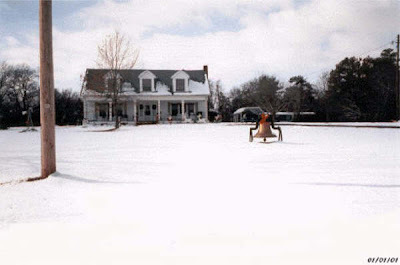 He was assigned to the 2nd Battalion, 30th Infantry Regiment, 4th Brigade Combat Team, 10th Mountain Division (Light Infantry), located at Fort Polk, La. The incident is under investigation. For further information media may contact the Fort Polk public affairs office at (337) 531-4630. Pvt. Daren A. Smith, 19, of Helena, Mont., died December 13th, in Baghdad, Iraq, of wounds sustained from a non-combat related incident. He was assigned to the 3rd Squadron, 89th Cavalry Regiment, 4th Brigade Combat Team, 10th Mountain Division (Light Infantry), Fort Polk, La. The incident is under investigation. For more information related to this release, the media may contact the Fort Polk public affairs office at (337) 531-1344; after hours at (337) 208-2526. Sgt. 1st Class Jonathan A. Lowery, 38, of Houlton, Maine, died December 14th, in Mosul, Iraq, of wounds sustained when enemy forces attacked his unit using small arms fire. He was assigned to the 3rd Squadron, 3rd Armored Cavalry Regiment, III Corps, Fort Hood, Texas. For more information related to this release, the media may contact the Fort Hood public affairs office at (254) 287-9993; after hours at (254) 291-2591. The Department of Defense announced today the death of two soldiers who were supporting Operation Enduring Freedom. They died in Afghanistan from wounds suffered when their vehicle encountered an improvised explosive device. The soldiers were assigned to the 1st Battalion, 503rd Infantry Regiment (Airborne), 173rd Airborne Brigade, Camp Ederle, Italy. Cpl. Joshua C. Blaney, 25, of Matthews, N.C., who died December 12th at Forward Operating Base Curry, Afghanistan. For further information related to this release, contact the Southern Europen Task Force public affairs office at 011-39-0444-71-7011 or 011-39-0444-71-8020. Sgt. Samuel E. Kelsey, 24, of Troup, Texas, died December 13th in Tunnis, Iraq, of wounds suffered when an improvised explosive device detonated. He was assigned to 3rd Battalion, 7th Infantry Regiment, 4th Brigade Combat Team, 3rd Infantry Division, Fort Stewart, Ga.
For more information related to this release, the media may contact the Fort Stewart public affairs office at (912) 767-2479. Spc. Brynn J. Naylor, 21, of Roswell, N.M., died December 13th in Baghdad, Iraq, of wounds suffered when enemy forces attacked his unit using small arms fire. He was assigned to the 2nd Battalion, 12th Infantry Regiment, 2nd Brigade Combat Team, 2nd Infantry Division, Fort Carson, Colo.
For more information related to this release, the media may contact the Fort Carson public affairs office at (719) 526-4143; after hours (719) 526-5500. A cache of Iranian-manufactured rockets was turned over to Coalition Forces based at FOB Delta Dec. 4. Iraqi Civil Defense Corps personnel delivered 14 107 mm Iranian rockets and fuses to Kazakhstani Soldiers, said 1st Lt. Almaz Mukashev, the Kazakhstani liaison officer. The rockets were manufactured in 2006. ICDC personnel have turned over munitions to Coalition Forces before, but this was the first time Iranian weapons were turned over from the force to Coalition Forces, said Col. Peter Baker, the 214th Fires Brigade commander. The ICDC specializes in explosive ordnance disposal. Its head is Iraqi Maj. Gen. Abdul Rasul. Baker said this is a sign that Iraqis are taking ownership of their area to bring about better security. The Kazakhstani unit gave the munitions to Navy Explosive Ordnance Disposal Mobile Unit Three Battalion for analysis. The Kazakhstani battalion provides EOD support to FOB Delta. Chief Petty Officer Mark T. Carter, 27, of Fallbrook, Calif., died December 11th, as a result of enemy action while conducting combat operations in Iraq. He was permanently assigned as an East Coast-based Navy SEAL. For further information related to this release, contact Naval Special Warfare Group Two public affairs at (757) 462-2282. Staff Sgt. Gregory L. Elam, 39, of Columbus, Ga., died December 11th in Kandahar, Afghanistan, as a result of a non-combat related illness. He was assigned to the 54th Quartermaster Company, 49th Quartermaster Group, 101st Airborne Division (Air Assault), located at Fort Lee, Va. This death is under investigation. For more information media should contact the Fort Lee public affairs office at (804) 734-7451. Cpl. Tanner J. O'Leary, 23, of Eagle Butte, S.D., died December 9th in Musa Qal'eh, Afghanistan, of wounds suffered when an improvised explosive device detonated. He was assigned to the 1st Battalion, 508th Parachute Infantry Regiment, 4th Brigade Combat Team, 82nd Airborne Division, Fort Bragg, N.C. Both were U.S. Air Force. Funeral dates have not been set by the families. On April 12, 1951, Hatfield and Simpson were two of eleven crewmembers on a B-29 Superfortress that left Kadena Air Base, Japan, to bomb targets in the area of Sinuiju, North Korea. Enemy MiG-15 fighters attacked the B-29, but before it crashed, three crewmembers were able to bail out. They were captured and two of them were later released in 1954 to U.S. military control during Operation "Big Switch." The third crewmember died in captivity. He and the eight remaining crewmembers were not recovered. In 2000, a joint U.S./Democratic People's Republic of Korea (D.P.R.K.) team, led by the Joint POW/MIA Accounting Command (JPAC) excavated an infantry fighting position in Kujang County where they recovered remains which included those of Hatfield and Simpson. Among other forensic identification tools and circumstantial evidence, scientists from JPAC and the Armed Forces DNA Identification Laboratory also used mitochondrial DNA and dental comparisons in the identification of the remains recovered in 2000. Spc. Johnathan A. Lahmann, 21, of Richmond, Ind., died December 10th in Tikrit, Iraq, of wounds suffered in Bayji, Iraq, when a improvised explosive device struck his vehicle. He was assigned to the 59th Engineer Company, 20th Engineer Battalion, 36th Engineer Brigade, Fort Hood, Texas. Spc. Randy W. Pickering, 31, of Bovey, Minn., died December 9th in Baghdad, Iraq, of injuries sustained in a non-combat related incident. He was assigned to the Regimental Support Squadron, 2nd Stryker Cavalry Regiment, 1st Armored Division, Vilseck, Germany. The circumstances surrounding the incident are under investigation. For more information related to this release, the media may contact the U.S. Army, Europe, public affairs office at 011-49-6221-57-5816/8694. 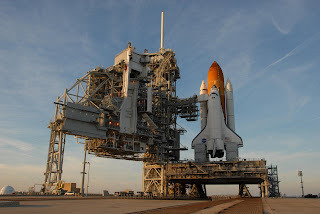 The launch of NASA's space shuttle Atlantis will take place no earlier than Saturday, Dec. 8, at 3:43 p.m. EST. Thursday's scheduled liftoff from NASA's Kennedy Space Center, Fla., was postponed because of a problem with a fuel cutoff sensor system inside the shuttle's external fuel tank. The fuel cutoff sensor system is one of several that protect the shuttle's main engines by triggering their shut down if fuel runs unexpectedly low. Launch Commit Criteria require that three of the four sensor systems function properly before liftoff. Space Shuttle Program managers will hold a Mission Management Team meeting Friday at 2 p.m. to discuss the issue and determine the steps necessary to start a new launch countdown. A news conference will be held at about 5 p.m. after the meeting's conclusion. On Thursday morning, two of the four engine cutoff, or ECO, sensors inside the liquid hydrogen section of the tank failed a routine prelaunch check. Following the launch postponement, the tank's liquid oxygen and liquid hydrogen were drained. While the tank was being emptied, engineers monitored and collected data on the liquid hydrogen sensors that failed. During that process, another sensor gave a false reading, indicating that the tank was "wet," when it was dry. All ECO sensors are now indicating dry as they should be. During Atlantis' 11-day mission to the International Space Station, the shuttle and station crews will work with ground teams to install and activate the European Space Agency's Columbus laboratory. The new lab will expand the station's scientific research capabilities. Space shuttle Atlantis is scheduled to launch Sunday, December 9th, at 3:21 p.m. EST, from NASA’s Kennedy Space Center in Florida. Shuttle program managers made the liftoff decision after three days of reviewing data on a problem with fuel sensors. Atlantis' scheduled launch on Thursday was delayed after two of the four engine cutoff, or ECO, sensors in the shuttle's external fuel tank gave false readings. A third sensor failed after the tank was drained of fuel. The sensor system is one of several that protect the shuttle's three main engines by triggering their shut down if fuel runs unexpectedly low. During a Mission Management Team meeting Saturday, NASA leaders decided to fuel the tank Sunday and monitor the status of the sensor system. If all four ECO sensors inside the liquid hydrogen section of the tank perform as expected, the countdown will proceed toward the planned liftoff. NASA Television coverage of the tank loading will start Sunday at 6 a.m., with launch coverage beginning at 10 a.m.
During Atlantis' 11-day mission to the International Space Station, the astronauts will install and activate the European Space Agency's Columbus laboratory, which will expand the station's scientific research capabilities. Crew members for the STS-122 mission are Commander Steve Frick, Pilot Alan Poindexter, mission specialists Leland Melvin, Rex Walheim, Stanley Love and European Space Agency astronauts Hans Schlegel from Germany and Leopold Eyharts from France. Of the four engine cutoff sensors, ECO sensor number three gave false readings. NASA's current Launch Commit Criteria require that all four sensors function properly. The sensor system is one of several that protect the shuttle's main engines by triggering their shut down if fuel runs unexpectedly low. Atlantis' scheduled launch on Thursday was delayed after two of the four engine cutoff, or ECO, sensors in the shuttle's external fuel tank gave false readings. A third sensor failed after the tank was drained of fuel. Next targeted launch will be no earlier than January 2nd.